CM26PE Pearl Medallion is 26-1/4″ x 1-1/2″ and modeled after original historical patterns & designs. This medallion features solid urethane for maximum durability and detail. Its lightweight makes for quick and easy installation. 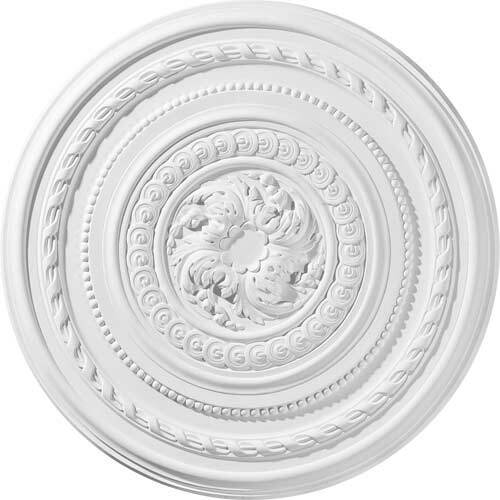 The CM26PE Pearl Medallion comes factory primed and ready for paint or faux finish, it can also be cut, drilled, glued or screwed in both interior & exterior applications. Here’s a great guide on how to properly install medallions.